Lewis & Clark College, B.A. Rhett Tatum joined Wilkes Artis in 2013. As an associate, his practice focuses on real estate tax appeals in Maryland and the District of Columbia. He has worked on appeals for all major commercial property types and many specialty use properties at all three administrative levels. Additionally, he has handled appeals to the Circuit Court and Maryland Court of Special Appeals challenging the State’s interpretation administrative procedure and property tax statutes. Prior to joining Wilkes Artis, Rhett was an Assistant County Counsel in Oregon where he handled a broad portfolio of matters including real estate tax appeals and land use. He is a member of the D.C. Real Estate Group. 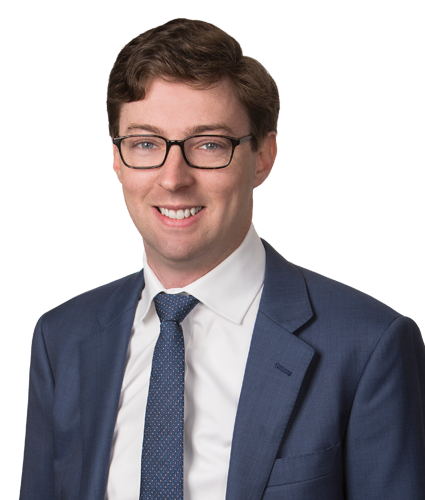 Rhett is admitted to practice law in Maryland and the District of Columbia, and is an inactive member of the Oregon State Bar. He earned his J.D. from Georgetown University Law Center in 2011 and holds a B.A. from Lewis & Clark College.